LRB Enterprises was founded in 1980 by it's President, Larry Barnblatt. It specializes in several areas of the tire Industry, with a background of more than 50 years in the tire industry as a second generation in the tire business. 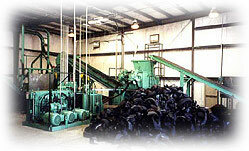 My experience encompasses Retail, Wholesale, Commercial, Discount House, Recycling, Farm, Industrial, Casings and Surplus. Past President of California Tire Company, a major wholesale tire distributor in Northern California, Oregon, Washington, Idaho, and Nevada including the Hawaiian Islands. I am the Founder of Bay Area Tire Recycling which was the first Crumb Rubber Tire Recycling factory in the San Francisco Bay Area and Northern California. We manufactured rubber pebbles for horse arenas and playgrounds. (under the names Perma-Flex©, and Perma-Turf©) We also manufactured rubber in other various sizes for pour in place installations, commercial and industrial matting and crumb rubber for rubberized asphalt for California roads. We processed more than 5000+ tires per day processing passenger, LT tires, Medium Truck Tires as well as motorcycle, small and medium size farm and industrial tires.